MeaganEllise Lash Adhesive to the rescue.. 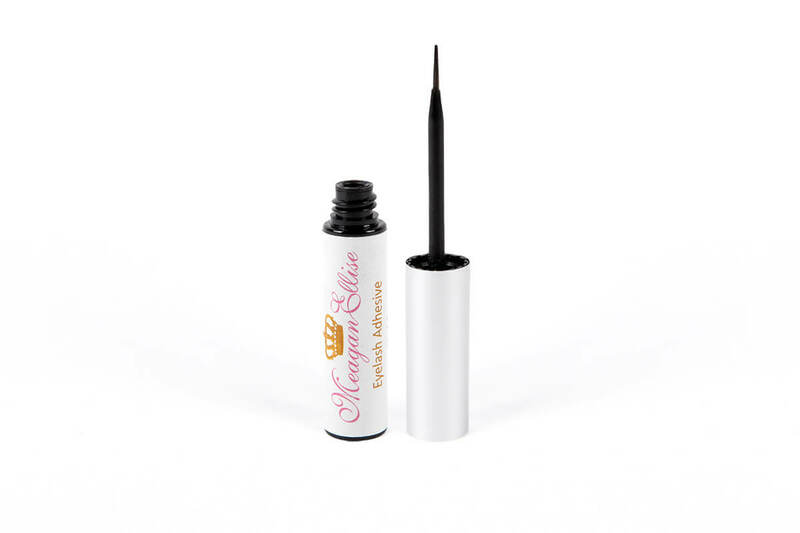 This Lash Adhesive is a 5g bottle in colour black. The MeaganEllise Eyelash Adhesive in black is a game changer! 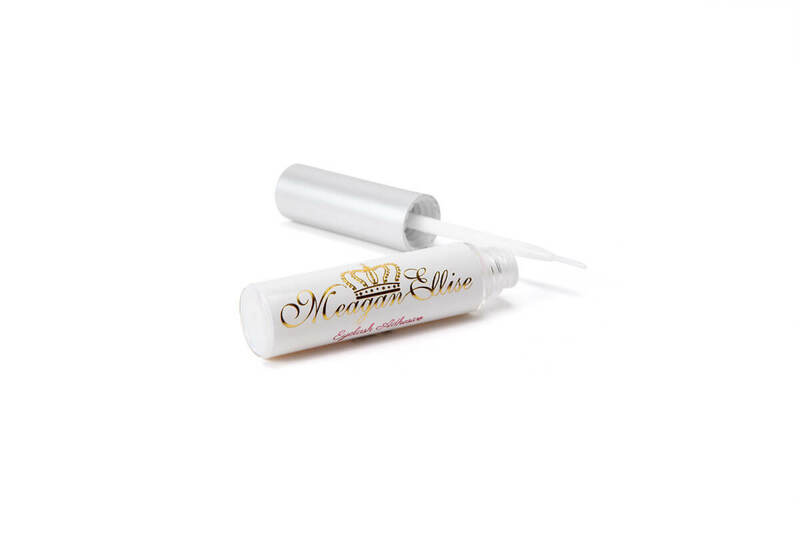 Keep those fake lashes on all day and night, with this quick dry, irritant free, eyelash glue. Our eyelash glue is loved by so many of our customers and lash lovers around the globe! This holy grail lash glue is a must have, go to product for so many beauty gurus. It is the key to a achieving a flawless look every time with ease. Our Eyelash Adhesive is so easy to use, and will make wearing fake eyelashes a breeze! Using the built in application brush, you can apply just the right amount of adhesive to your lash base. Perfect for sensitive eyes, MeaganEllise lash glue will keep your eye area free from tears with our non irritant formula, this is essential for your lash glue and false lashes to bond to your skin. Even though our Adhesive is strong, we have developed it to be extra gentle on the skin and easy to remove. When you are finished with your lash look, pull gently on your false lash to detach the Eyelash Adhesive. If you have any Eyelash Adhesive left on your skin or lashes, it will come of easily with warm water or eye makeup remover. We strongly recommend the use of MeaganEllise Eyelash Adhesive to apply both our Mink Lashes and Individual eyelashes to your eyes. As all of our MeaganEllise Lashes are re-useable, This eyelash adhesive formula will ensure you are keeping your false lashes in great condition, to then be able to wear them time and time again! Simply pull any excess adhesive gently away from the false lashes base to remove before storing back in their box for safe keeping. Need help deciding which lash adhesive is the right fit for you? Take a closer look at both of our lash glues in our ‘Lash Adhesive – Clear or Black?‘ blog post to help you decide! Click here to see the post. Remember: Always apply your faux lashes just above your lash line, never directly on your lashes, this will avoid stress on your natural lashes. I absolutely love the eyelash adhesive! I’ts the best I’ve used. The Lashes are also so beautiful and easy to apply and they look flawless! I always get compliments on them. I love your products! This lash adhesive is the BOMB.COM I actually threw away my ardell glue just because I know I will never use it again!!!! It’s black so it blends with the lashes and makeup well, it holds my lashes on place ALL day until I have to remove them, I have used this on clients with sensitive eyes without an issue!!! And it is super easy to use with a wand applicator!!! But seriously I actually LOVE THIS…..best eyelash glue EVER!!!!!! Love this glue – it’s black, it dries fast and I never have to reapply. It also doesn’t dry up in the tube!! Seriously the best lash adhesive ever!!! I love that its black so there is none of that awful visible glue like some other adhesives! Defiantly worth it!! !